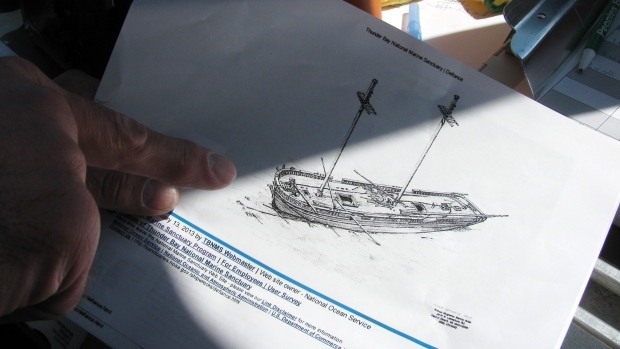 Marine archaeologists are diving deep into Lake Huron's past by creating 3-D images of the many shipwrecks resting far below the surface, giving researchers and the public a far more detailed look at these hidden historical treasures than traditional photos or video can provide. The researchers have begun mapping shipwrecks in the only freshwater national sanctuary with imaging technology that's getting its first full-fledged, deep-water workout by the National Oceanic and Atmospheric Administration, which manages the 4,300 square-mile Thunder Bay National Marine Sanctuary with the state of Michigan. They are rapidly creating accurate 3-D images of the sunken vessels by feeding a series of photos into a software program. Researchers have been photographing and shooting video of the wrecks for years, but until now lacked the ability to quickly, accurately and cheaply create more illuminating 3-D images, particularly with the limited budget and time they have on dives of at least 130 feet. The new images are a great benefit, allowing them to assess and monitor the wrecks with a precision that can detect even minute changes over time. "This is the first project we've really rolled it out on," said Joe Hoyt, the diver in charge of the imaging technique known as photogrammetry. "The cool thing about this is it's photo-realistic but it's also perfect 3-D, so you're seeing all sides of it. And it's perfectly scaled. It's a really amazing, accurate tool for measuring and monitoring, and the biggest benefit is the time it takes to develop is very, very small." Hoyt and team members recently spent several days aboard the Storm, a Great Lakes-based environmental research vessel, as part of an excursion to eight deep-water dive sites in the sanctuary's expanded territory that extends to the maritime border with Canada.